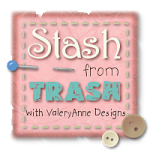 I'm so happy to be hopping along on the CardMarker and PoppyStamp Blog Hop. I hope you will hop along and see what we've been creating....I've been keeping this a secret for a long time....well it feels like a long time. Now I can tell you how I made this card. The ribbon , paper and doily are pretty self explanatory. I knew I wanted to use the Claudette Frame on the inside of the card, and after die cutting it for the sentiment, I wondered what it would look like in silver glitter. I cut it and then decided to remove a portion of the inside square. The solid glittered portion took too much away from the lovely Elsa Butterfly Branch, so I created a border by cutting the center away. I always repeat elements and this card is no exception. The Claudette Frame is tucked into the pocket created using a portion of a doily, and the ribbon is seen again. It is decorated by adding the Massa Leaf and Massa Leaf Background. As you can see the Elsa butterfly, backed by the Lyndon butterfly fluttered by. I can't say who I made this card for, but it's ready and will be in the mail shortly. 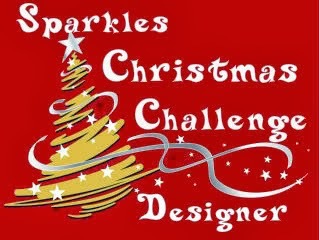 I want to thank CardMaker and Poppystamps for letting us join in the fun. Do you love prizes? I sure do. 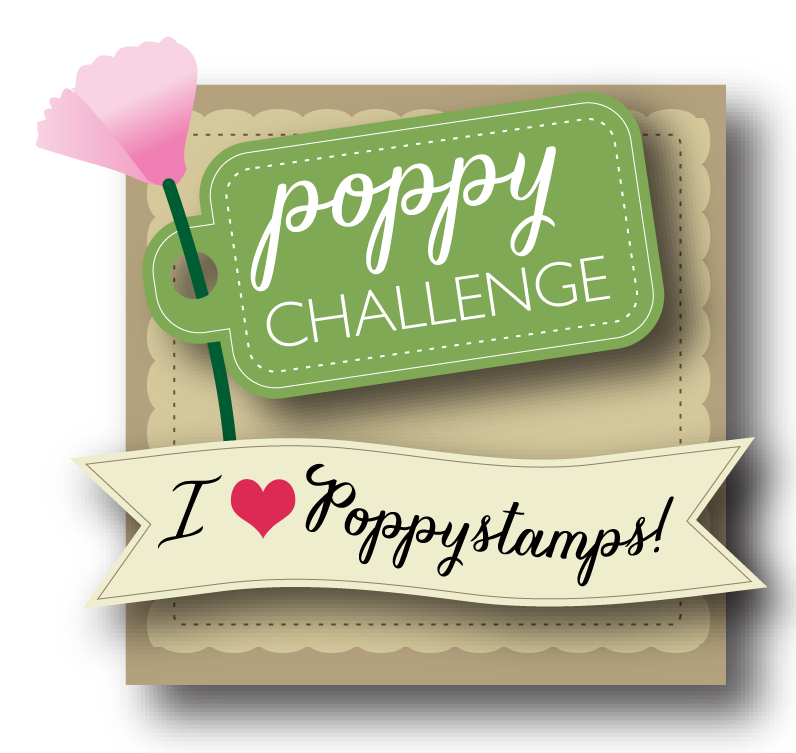 And guess what, Poppystamps is giving away a fantastic prize. 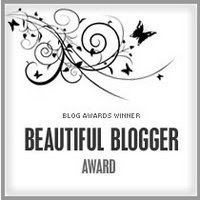 One of the blogs has the prize hidden. So you won't know until the end, which blog held the prize. Actually, I don't know either, I know what it is, I just don't know where it is.... That's because it's a SECRET! Want to see the prize? I wish I could win..... The Poppystamps background dies are Wonderful. I always order backgrounds first, because you can make a quick card using them. 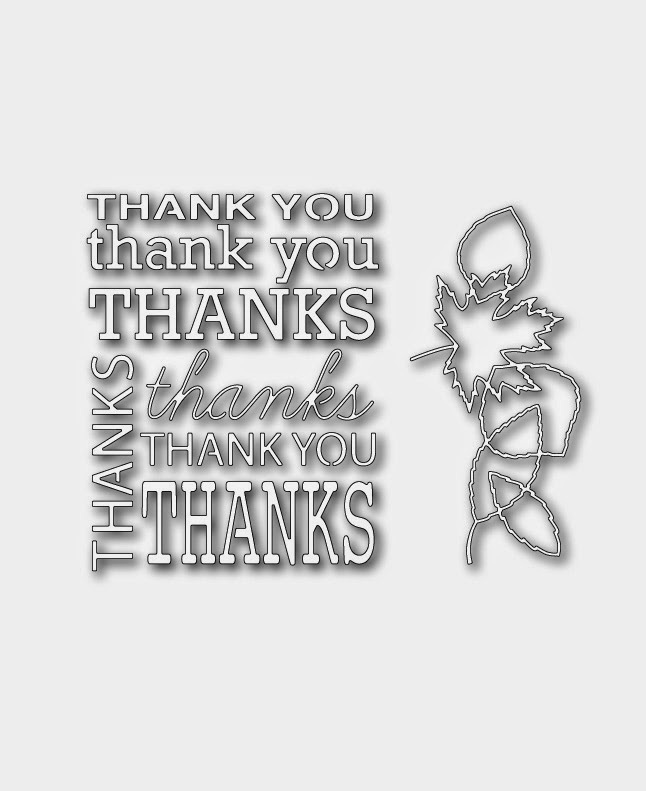 Also, look at all the fonts that can be used on cards....and the Leaf Silhouette is gorgeous, absolutely so! If you came to me from Penny's blog...you are hopping in the right direction. Your next stop should be Ira's blog. Oh, I almost forgot. You have until 9-26 to comment. The winner will be announced on 9-29. Until next time.......Hugs from me to you! This is gorgeous Mary - SO elegant and feminine!! 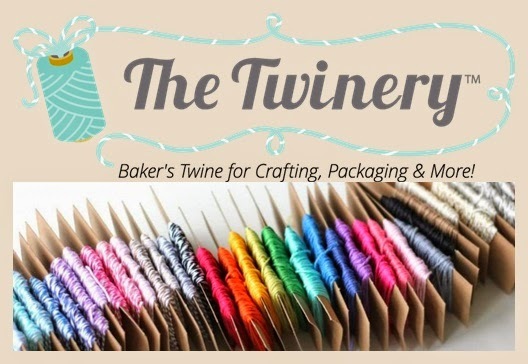 I love the soft color, pretty papers, and intricate die cuts! Gorgeous Mary!! I love the paper and the die sets it off! 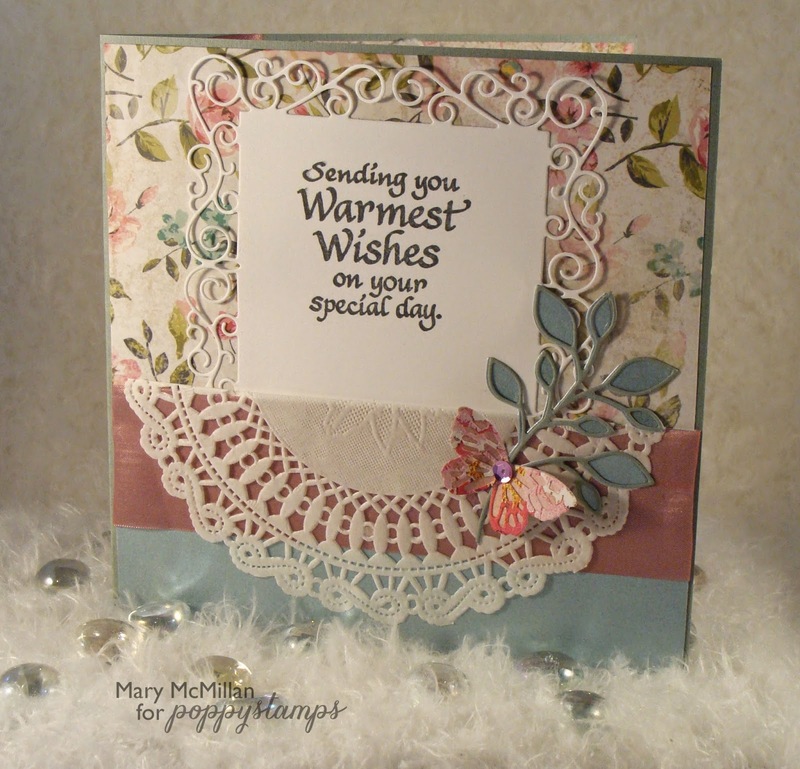 Hi Mary, this is beautiful, your colours, pretty papers go so well together, beautiful layout with the dies and ribbon..
Wow , what a fabiulous card. you are so romantic!!!!!!!! sweet and beautiful cards!!!!!!!! Such a beautiful card, Mary! 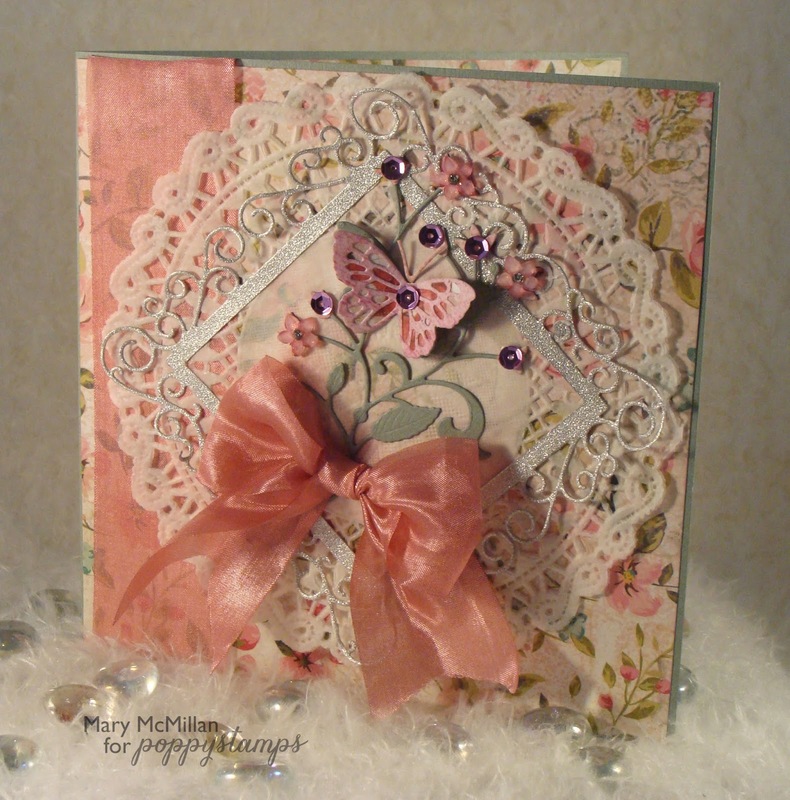 Mary, you have so many gorgeous layers of pretty on your cards, love them! Love your pink bow too! To my favorite Glitter Grammy, I love your cards. So feminine and soft! Lovely card!!! Love all the details! Shabby Chic! I love it! Pretty lady card, Thanks for sharing. Hi Mary what a beautiful card I love the design and the colours are stunning. What intricate, beautifully executed work. Lucky is the person who receives one of your cards. I am sure they are kept forever! The butterflies are simply gorgeous. I'm totally blown away by your pretty card. The inside is as gorgeous as the outside. I love the butterflies and all that pink goodness. hugs Mrs A. Kind of an old-time Victorian romance flavor - nicely done! These cards are amazing - so many layers and such pretty colors! Really Gorgeous cards Mary!! Love the beautiful hues of pink!! Lovely card especially with my favourite Butterfly in it again. I love the colors you've chosen! So pretty and bright! Layers...doily...ribbon...all so lovely and the end result is just fabulous! TFS! Mary, Mary, what beautiful works of art! Great job! Mary, seu cartão é lindíssimo!...muito delicado e a cor eu amo! Eu gostaria muito de ganhar os mimos do blog hop. Love your layering and the Victorian look. Great job on using so many dies for your card. Very pretty! Love the delicate look. Very pretty! I absolutely love this style Mary, just so fond of flowers and anything vintagey! Love the romantic feel of your card and the pretty papers, really lovely! Removing a portion of the square really made all the elements of your card shine! Beautiful card. Such a lovely vintage style. I love how you created the silver frame with the Claudette die. It added a great glittery highlight without overwhelming the card. Absolutely feminine and so elegant!! Gorgeous design - so intricate - love the layering - am partial to designing on inside. Beautiful! A beautiful card! Love how you always finish the inside as beautifully as the outside! Your card is just beautiful, both inside and outside! The colors are my favorites. 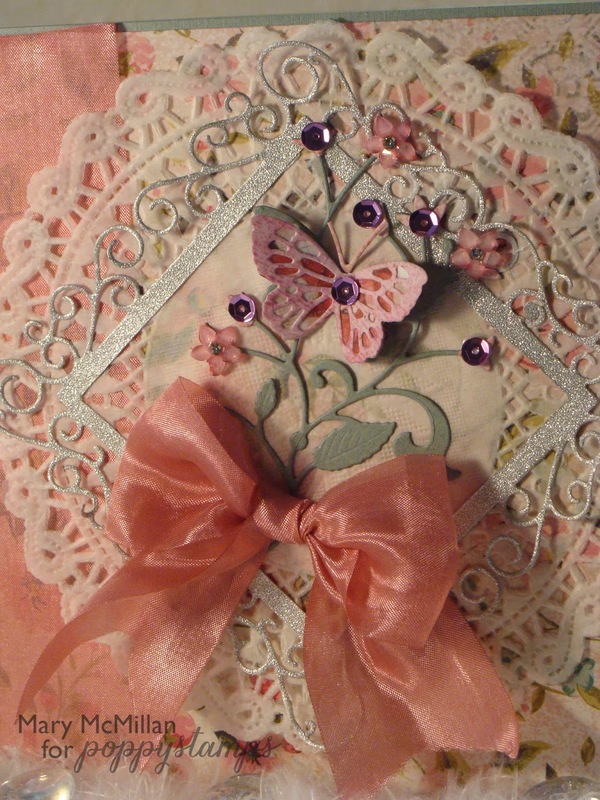 I just love the use of doilies on cards. Your card is very pretty. what a feminine cards, so pretty! Very pretty card inside and out. Love your colors and choice of dies. Both cards feel wonderfully romantic to me. Wow this is very elegnat love it. TFS. Lovely card! So pretty with those delicate dies and beautiful colors! Beautiful creations, Mary. I love the Victorian look to both. 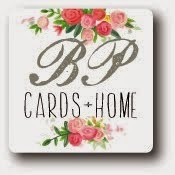 Love these elegant cards - SO feminine. Wow!! So pretty. Elegant and beautiful!! Love the die in the very center with the butterfly on it. Love the pretty bow! What a beautiful card. :) Thanks for sharing.